ITL Chicago has been providing warehousing, load securement, transloading, transportation, and secured parking for nearly 20 years. So we understand how important it is to keep your cargo safe and secure. That is why we offer secured container parking for your cargo, secured parking for you truck, chassis, and trailer. When you park your container at ITL Chicago, you have the peace of mind that your payload is safe. 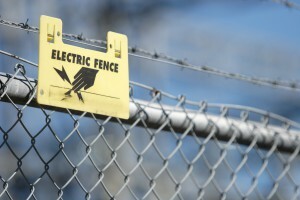 While you are parking your container in one of our facilities with a total of 600,000 square feet of space combined, you can take peace in the fact that we are prepared with electric fences, a gate that requires a key code, and camera surveillance 24 hours a day, seven days a week. For more information on our secured container parking and our other secured parking services, call us today at 630-206-1532. Or simply fill out the contact form to the right and one of our representatives will get back to you shortly. For complete information on our secured parking options to keep your vehicle and cargo safe and secure, contact us today at 630-206-1532 and get peace of mind know your livelihood is safe and secure. Or simply fill out the contact form located on the right of this page and one of our knowledgeable representatives will get back to you as soon as possible.